April is finally here and I look forward to the warmer weather, spring rains and the chance to work the fields on the farm. Many Lodges within our District are doing Degree work as we finish out our year. R.W. Charles Dellow and I have been busy attending practice sessions and working with newer members on their ritual work. Never be afraid to learn a new part of the Ritual. If you are trying to learn a long lecture, R.W. Dellow and I suggest that you break it down into smaller parts. As you become proficient with one section, move onto the next. We also have been suggesting that it is possible to split up the long lectures and use multiple Brothers who can learn different sections of the work presented. This has worked out very well for the Lodges that have tried this method. As R.W. Dellow and I close out our 2 years as your AGL’s we would like to express our sincere thanks for the warm welcomes and Brotherly love we have received throughout the District. It has been an honor and a pleasure to work with all of the Lodges within the Cortland Madison District. As always, R.W. Dellow and I will see you throughout the District. Please call if you need our assistance. February is a very busy month with President’s Day, Valentine’s Day, Winter break for school age children and Ground Hog’s Day. An old farmer’s saying is that you should have half of your stored forage supply left on Ground Hog’s Day. Just a piece of useful knowledge from your AGL’s. RW Charles Dellow and I would like to thank all of the Brothers who completed the Masonic Development Course. We hope that this course helped in your understanding of the three Degrees in becoming a Master Mason. We would also like to remind all Lodges that they are required to do a Degree before April 1st of this year to satisfy the Grand Master’s edict. It can not be the same Degree as the one you did last year. If you are doing a Degree, RW Dellow and I would like to come to your practices. We can not stress enough to the Lodges in our District the importance of having at least 3 practice sessions before the Degree. It is vital that everyone who has a part in the Degree, including the Conductors, be present at these practices. As always, RW Dellow and I look forward to seeing you around the District. I hope everyone had an enjoyable Holiday season! Degree work is continuing throughout the District. Congratulations to Cortlandville Lodge, TriValley Lodge and Otselic Valley Lodge for working together on the 3rd Degree. As a result, 7 new Brothers are now a part of the Masonic family. Thank you to all the Brothers from throughout our District and other Districts who came to help or just be present at this Degree. RW Charles Dellow and I can not stress enough about the importance of having everyone at the practice meetings before a Degree. Floor work, preparing the candidates before the Degree starts, knowing where everyone should be and having all of the parts filled are all the things that need to be done on the Degree check off list. If you are preparing for a Degree, please contact RW Dellow or myself and we would be glad to attend your practices and the Degree. Please remember that all Lodges in the District are required to do a Degree before the end of April. It can not be the same Degree as you did last year. 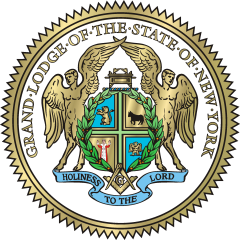 On January 31st we will be teaching the second part of the Masonic Development Course at Cortlandville Lodge at 6 pm. There were 15 Brothers that took part in the first part of the MDC class that was held in November. A great time was had by all. As always, RW Dellow and I will be around the District and we look forward to seeing everyone! Happy Thanksgiving to all Brethren and their families! It is hard to believe that the Holiday season is upon us already. The Official visits are winding down. Marathon will hold theirs on November 6th and Homer will have theirs on November 13th. The Brothers of the District are doing well with the opening and closing of their Lodges. RW Charles Dellow and I have noticed that the Brothers know the ritual, they just need to slow down in their presentation. Degrees are going on throughout the District. The Lodges that have 3 or more practices are having great Degrees. Practice makes perfect my Brothers and that certainly shows the night of the Degree. Knowing the candidates names, floor work and ritual are key to a successful Degree. Please call RW Dellow or myself and we would be glad to help you prepare. We will be conducting the Masonic Development Course on November 29th and January 31st. Dinner starts at 6:00 p.m. and classes start at 6:30 p.m. and will be completed by 8:30 p.m. Please call me at 607-597-9309 at email me at cbrooks [at] drydenbank [dot] com if you wish to attend. We would love to have a great turnout! As always, RW Dellow and I will be around the District to help our Brothers anyway we can. Copies of the finalized by-laws will be distributed to the Secretary of each Lodge and on The Grapevine. The next scheduled meeting of the Worshipfuls and Wardens Association will be on October 30, 2017 at Homer Lodge. Dinner will be served at 6:30 PM and the meeting will begin at 7:30 PM. Our Lodge year is now in full swing. We have had Official Visits at DeRuyter Lodge and Otselic Valley Lodge in the month of September. October is just as busy with Official Visits at Cortlandville Lodge on October 3rd, Hamilton Lodge on October 9th and TriValley Lodge on October 19th. RW Charles Dellow and I will be working with these Lodges in preparation for these visits. 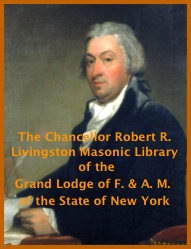 The Grand Lecturer’s Convention will be held on October 27th at Hamilton Lodge #120. Dinner will be at 6:30 p.m. and the Convention will begin promptly at 7:30 p.m. The program for the evening will be the proposed Ritual change for opening and closing the Lodge meeting on the First and Second Degree. See you around the District. Welcome back to Lodge after a nice summer break. RW Charlie Dellow and I will be attending Lodge meetings this fall working with Officers in preparation for RW Scott A Cary’s Official visits. The first Official visit will be at DeRuyter Lodge on September 14, 2017. The Grand Lecturer’s Convention will be held at Hamilton Lodge #120 on October 27, 2017. Dinner will be served at 6:30 pm and the convention will start promptly at 7:30 pm. The program for the evening will be the newly proposed Ritual for opening and closing the Lodge on the First and Second Degrees. Degree work continues throughout the District this fall. Please attend these Degrees if you can. Full sidelines make a great impression on a new Brother going through the Degrees. The District is always in need of Brothers who can do the work of historical lectures, questions and answers, whys and wherefores, middle chamber lecture, craftsman, ruffians and kings in the Hiramic legend. Many hands make light work. As always, RW Charlie Dellow and I will be about the District and are willing to help in any way we can. I can be reached at 607-597-9309 or by email at cbrooks [at] drydenbank [dot] com. Spring has arrived and the start of a new Masonic year is upon us. I hope everyone enjoyed Grand Lodge. It’s wonderful to experience the annual meeting of Mason’s in New York City! RW Charles Dellow and I would like to thank all of the Lodges in the Cortland Madison District for their hard work and dedication in performing the ritual of the craft. Every Lodge in the District put on a Degree this year. Practice is the key ingredient to achieving a successful Degree. It is important that all officers and conductors attend every practice. Not all of the newly raised Brothers who are taking part in the ritual know the floor work or what to do or say if they are conducting a candidate. Remember Brothers, practice makes perfect! RW Dellow and I have had a memorable year as Assistant Grand Lecturers of the Cortland Madison District and we would like to thank every Lodge very much! We continue to be available to help with any of your ritual needs. The month of April is upon us and our Masonic year is winding down. Degree work within our District continues and if you are able to attend any of these Degrees, I am sure the candidates would greatly appreciate it. RW Dellow and I have enjoyed working with the different Lodges in the District. Many new Mason’s have taken on major roles in the Degrees and have done outstanding work. It’s important to remember to take your time in presenting the ritual. It means more to the candidate and the Brothers present and gives the piece of Ritual more meaning. It’s a great feeling for the Brothers presenting the work to hear from long standing Masons that they have done a great job. As always, RW Charles Dellow and I are a phone call away and are willing to help any way we can. The month of March is upon us. The days are becoming longer, Daylight Savings starts and the first day of Spring arrives. It will not be long before it is summertime again! R.W. Dave Walter from Marathon Lodge will be the guest speaker at our next Fellowcraft Club meeting which will be held at the Cortlandville Lodge on March 28th at 7:30 pm. R.W. Walter will give a presentation on Camp Turk, followed by a brief presentation by R.W. Charles Dellow and myself on Masonic etiquette while in the Lodge room. Refreshments will follow. We have cordially invited our Brothers from the Cayuga Tompkins District to join us for the evening. Please try to attend for a great night of education and fellowship! Degree work continues to be done throughout the District. If your Lodge is doing a Degree, please call R.W. Dellow or me and we would be happy to help you prepare. Watch the Grapevine for upcoming Degrees and please remember to post your’s so as many Brothers can attend as possible.